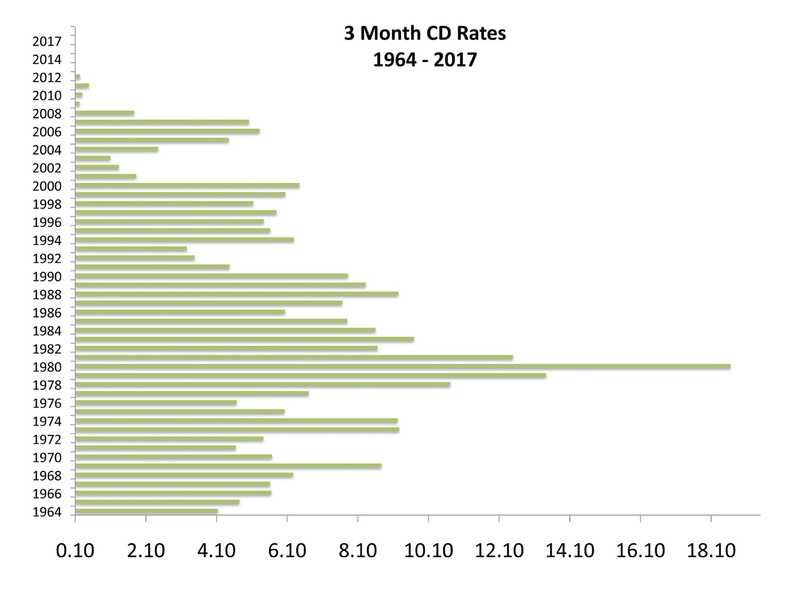 The primary drawback of using CDs as an investment is that a fixed rate over a short period of time doesn’t produce the growth that stocks may produce over a long period of time. So when a 3-month CD paid 13.78% in 1979, the inflation rate of 13.3% that same year translated into earning a meager half percentage difference in real terms net of inflation. The challenge today, even with low inflation of below 2%, is that the average 3, 6, and 12-month CD rate is still below the current rate of inflation.